Heavy textures gouge out a terrain that is undulating and sinuous, mapping a visual narrative in SG Vasudev's recent works. I met the well-known artist SG Vasudev at the December ArtPark event at Ravindra Kalashetra, right before the opening of his solo show. The ArtPark is an initiative by the veteran artist to encourage interaction between artists and the general public in an informal environment, outside a gallery setting. It allows visitors to talk to artists, watch them draw and paint and even buy art directly from them. The lush green park with its tall trees, tucked in a secluded corner away from the bustling streets of Bangalore, forms a perfect setting to mingle with your friends and enjoy the art. We discussed Vasudev’s upcoming show, ‘Recollections Reconnections’, Ananya Drishya - a monthly event where artists and other members present their work, and the possibility of a visual art festival in Bangalore. 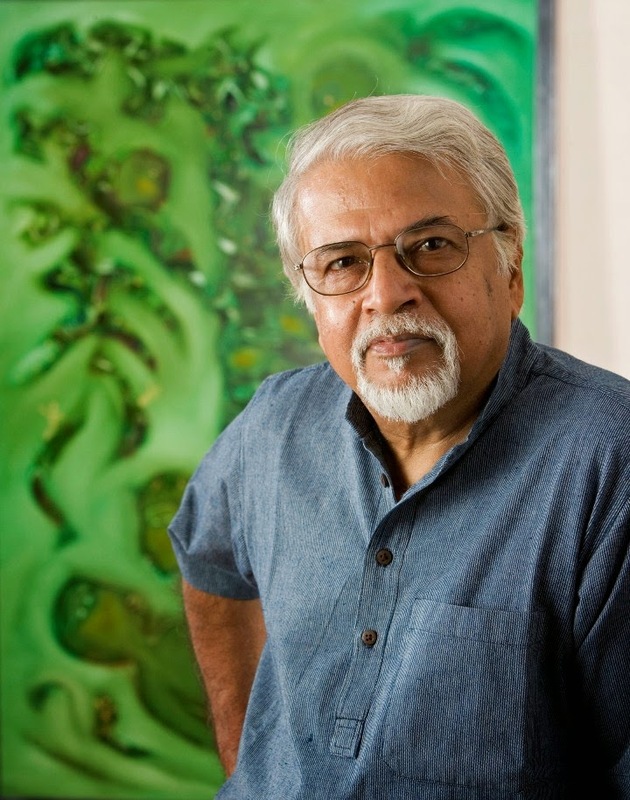 The driving force behind many public art initiatives in the city, Vasudev is an active crusader in his attempts to popularize art and to position Bangalore as a significant art destination. “We clearly need support from all quarters, and the government and corporates must come forward and encourage art and culture activities,” he passionately argues. 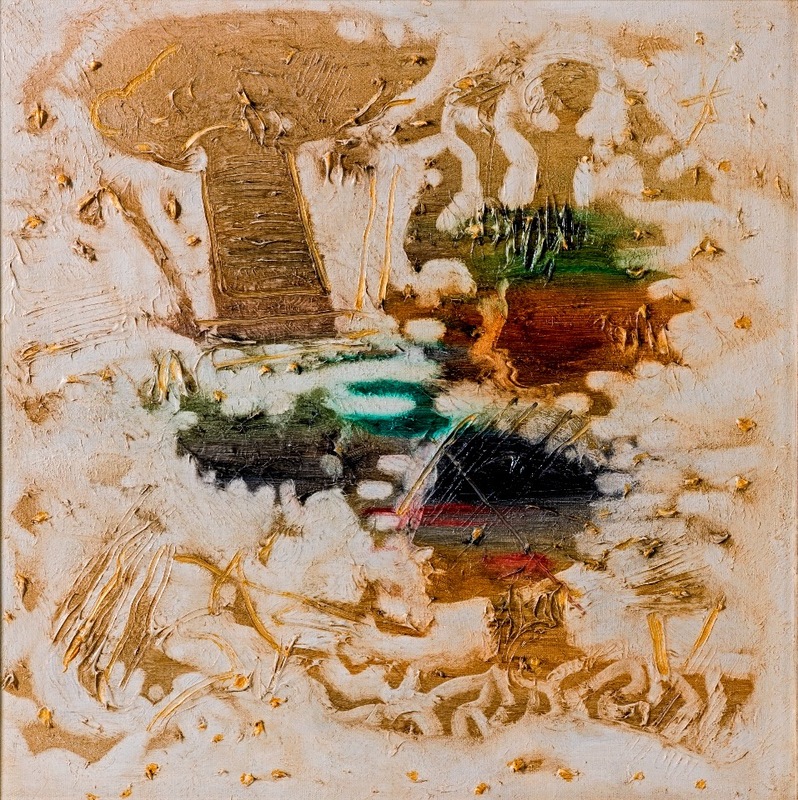 Vasudev’s latest series of paintings shows a perceptible shift from his earlier works. Heavy textures gouge out a terrain that is undulating and sinuous, mapping a visual narrative. The transformation is evident in his visual vocabulary with the granular and textural backdrop assuming greater significance. The imagery has also undergone subtle changes, shelving the rigidity of the form and progressing towards the abstract. Similarly, the muted colour palette allows greater interplay with the topography, while the embellishments play out like musical notes. 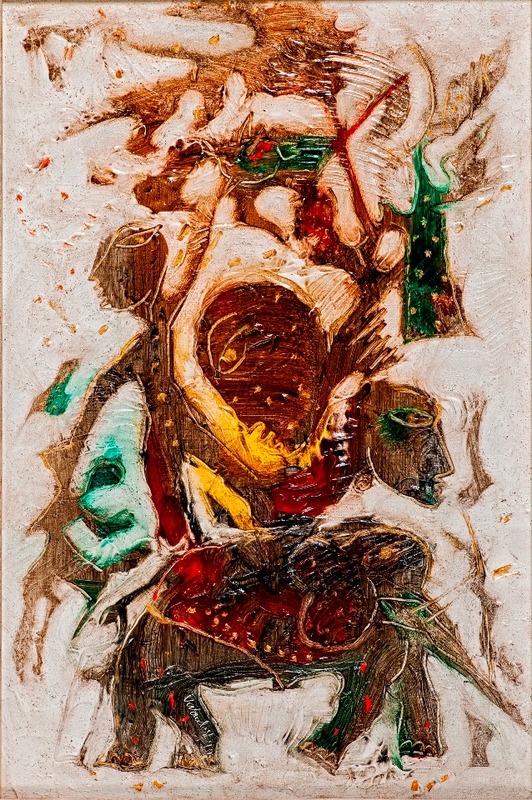 Animals, trees, human figures and other elements from his previous works are all there, but have evolved and morphed into figures and forms where their edges fade and amalgamate with their surroundings. A delightful rhapsody that plays out on canvas. Interestingly, Vasudev first builds layers of white pigment on canvas to form a thick textural background, and then adds colours, only to remove it systematically from most areas. An avid music aficionado, SG Vasudev listens to music as he paints and he likens the process of his painting to the notes in music. “It is similar to the ‘Raga, Taana and Pallavi’ process in Carnatic music, when a ‘raga’ plays out, it is complete by itself. But, when ‘taana’ starts, it initiates another element and when that completes, ‘pallavi’ starts, which normally has verses and it completes the concert,” he explains. And, so for Vasudev, it is the removal of colours which completes the painting. The exhibition continues till January 10 at Gallery Sumukha.